We deal with the leading manufacturers and wholesale suppliers of thermal print heads (for Direct Thermal and Thermal Transfer Printers). With strategic worldwide manufacturing and distribution agreements for Genuine OEM Brand print heads for all major thermal transfer label printer manufacturers and less expensive OEM-Equivalent print heads for thermal transfer overprinters (TTO’s), Griffin-Rutgers suppliers bring tremendous value to their networks of resellers and service providers to pass on to their customers. These strategic distribution agreements, for original brand print heads from printer OEMs, allow Griffin Rutgers to offer our customers extremely competitive pricing on many Genuine OEM Brand print heads. 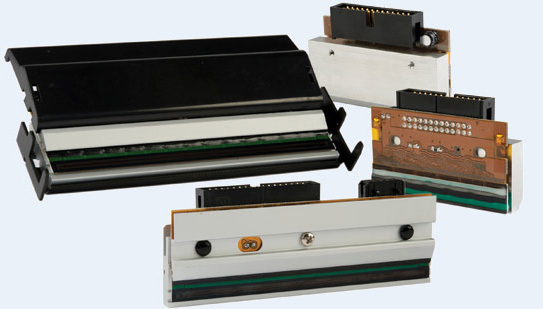 The OEM-Equivalent print heads are available for flexible packaging thermal transfer overprinters (TTO’s) such as Videojet, Markem, Domino and others. Performing at speeds of up to 40 inches per second, these print heads are compatible with all major ribbon, label, film, bag and packaging materials brands.